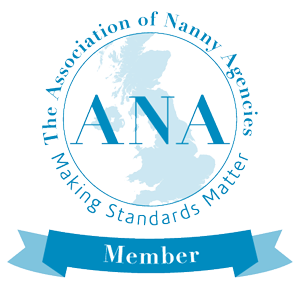 This privacy notice provides you with details of how Cookham Nannies and Sitters Ltd (“we”, “our”, “us”, or “the Company”) collect and Process your Personal Data, whether you’re a client, a candidate, a supplier or another third party. Cookham Nannies and Sitters Ltd are the data controller and we are responsible for your Personal Data, including determining when, why and how to Process Personal Data. We may Process your Personal Data for more than one lawful ground, depending on the specific purpose for which we are using your data. Please email us at helen@cookhamnanniesandsitters.com if you need details about the specific legal ground we are relying on to Process your Personal Data where more than one ground has been set out in the table below. To find a suitable candidate for your family in accordance with our legal terms and conditions of business. To comply with your legal terms and conditions of representation and use all reasonable endeavours to find you suitable employment / engagement. Necessary for our legitimate interests for running our business, provision of administration and IT services, network security and to prevent fraud. Necessary for our legitimate interests to define types of clients for our services, to keep our site updated and relevant, to develop our business and to inform our marketing strategy. Necessary for our legitimate interests to develop our services and grow our business. We are working closely with third parties including professional advisors AND OTHERS. We may receive information about you from them for the purposes of our recruitment services and ancillary support services. You can ask us or third parties to stop sending you marketing messages at any time by emailing us at helen@cookhamnanniesandsitters.com at any time.